For prevention of environment pollution by the oil and garbage, ships have to equipped with the incinerators - special burners for the thermic waste utilization. The Atlas Incinerators company offers incinerators in six different sizes with energy transformation ranging from 209 kW (180,000 kcal/h) to 2,3 MW (2,000,000 kcal/h) equivalent to burning sludge oil of IMO-composition with 20% water content from 24 l/h to 270 l/h. Certificates: MED, IMO, USCG and all leading classification societies. 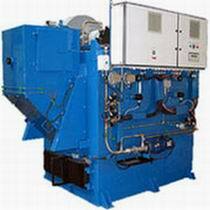 To support our incinerators, we supply a range of sludge oil treatment tanks and diesel oil tanks. Atlas Incinerators also offers complete aggregate solutions, where incinerator and all necessary equipment are mounted as a one unit.